It's been half a century since we lost Marilyn Monroe, but her presence in popular culture has never faded - due in part to the incredible abundance of photographs that were taken of her. Many of those pictures were taken by members of the Magnum photographic cooperative, and appear in this stunning collection that expresses every aspect of Marilyn's multifaceted persona. Henri Cartier-Bresson, Elliott Erwitt, Eve Arnold, Inge Morath, Philippe Halsman, Bruce Davidson, Dennis Stock, Bob Henriques, Erich Hartmann, and others capture Marilyn on and off the set. The images range from glamorous portraits to candid scenes of delicate intimacy. Marilyn is pictured filming movies such as Some Like It Hot and Gentlemen Prefer Blondes; also included in the book are Elliot Erwitt's renowned shots of Marilyn wrangling horses on the set of The Misfits, her last film. In richly toned black and white as well as lustrous colour, these photographs reveal Marilyn's uncanny ease in front of the camera. 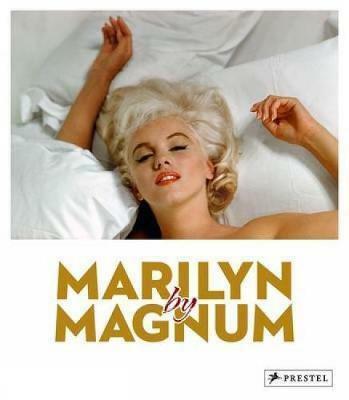 Whether acting or exercising, putting on make-up or gracefully posing, Marilyn was a photographer's dream. This celebration of her life will be a treasured keepsake for her millions of fans. On the 50th anniversary of Marilyn's death, this beautiful book is an elegant pictorial celebration of the beloved star by the Magnum photographers who immortalized her. It's been half a century since we lost Marilyn Monroe, but her presence in popular culture has never faded-due in part to the incredible abundance of photographs that were taken of her. Many of those pictures were taken by members of the Magnum photographic cooperative, and appear in this stunning collection that expresses every aspect of Marilyn's multifaceted persona. Magnum Photos is an international photographic cooperative owned by its photographer members, with offices located in New York, Paris, London and Tokyo.